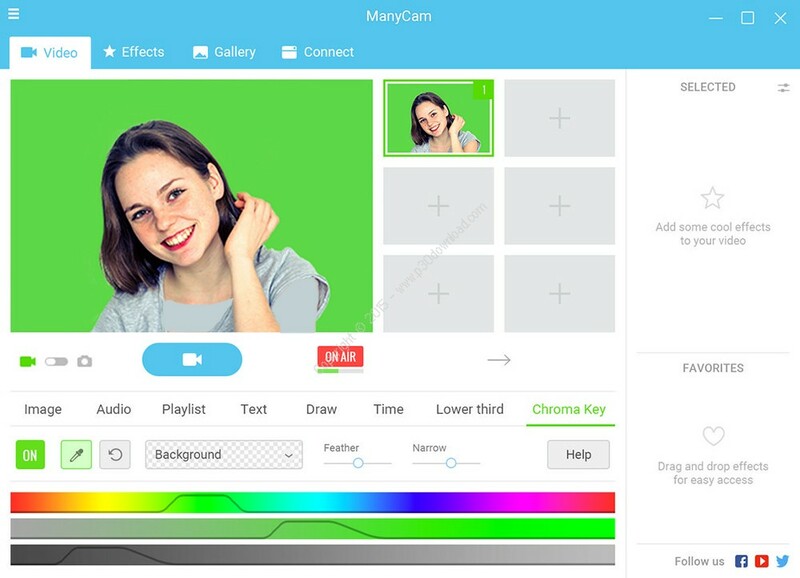 ManyCam enhances your real-time video chat& broadcasting experience and turns your computer into aprofessional-quality live video production studio and switcher. Broadcast your desktop to effectively present demonstrations andtutorials while you narrate. 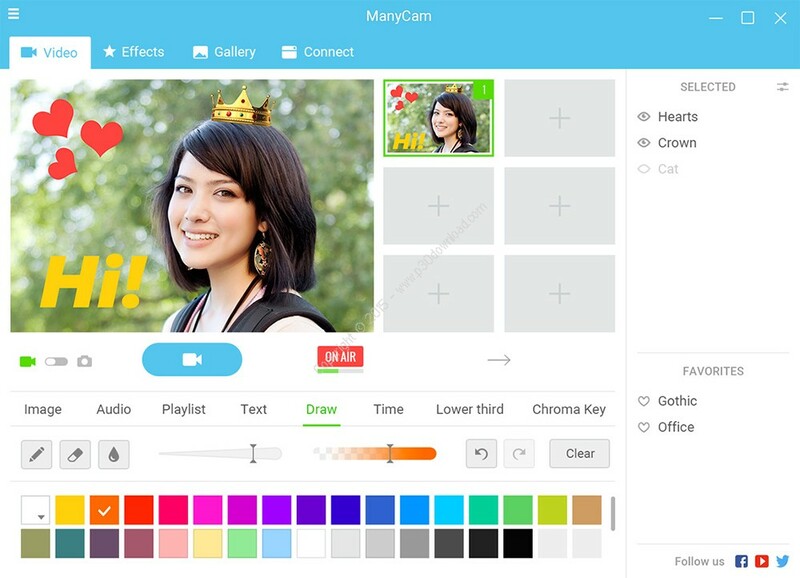 Enhance your broadcasts with ManyCam Picture in Picture (PnP)feature. Add a PnP window to your screencasts for more livelytutorials or demonstrations. Use ManyCam voice changer to apply cool microphone effects andchoose from various funny, scary or even downright weird voiceenhancements to entertain your audience. Even boost the performanceof your audio equipment. 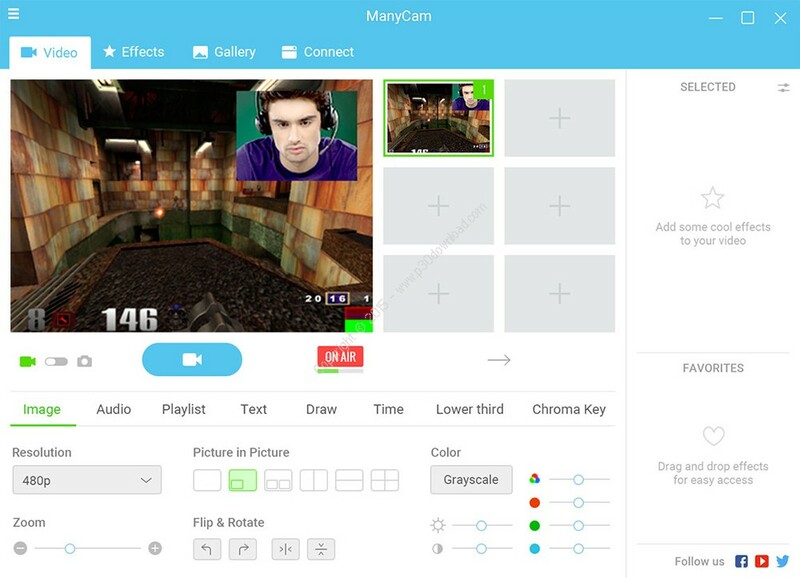 Add a level of professionalism to your video productions withManyCam Lower Third feature. Highlight important news, add yourname, location, or other information to your broadcast. Set video sources to automatically turn on to take a snapshot whenmotion is detected. Keep an eye on things even when you’re notthere and receive instant notifications. Quickly switch between audio and video sources with ManyCam livevideo studio switcher. Live stream your creations withsophisticated video production software. Select effects from the library or create your own. 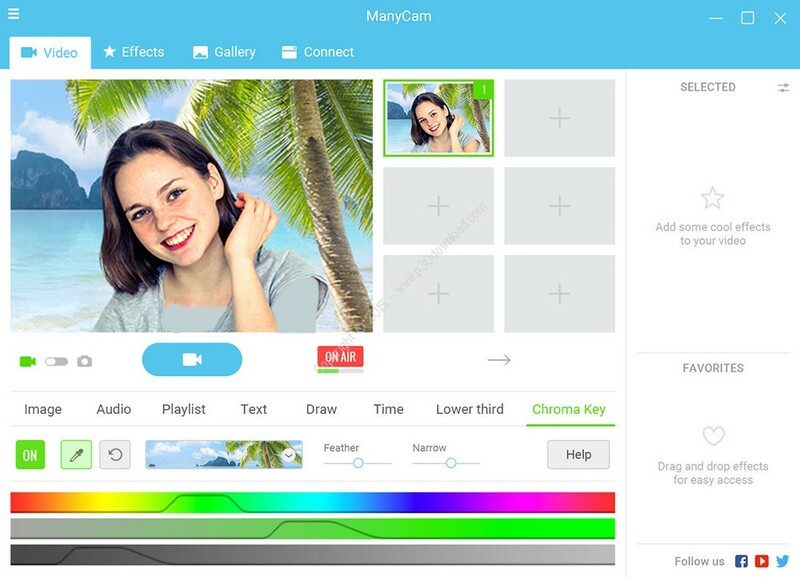 With ManyCam asyour video source you can use these cool features in any videosoftware like Skype or YouTube! Remove your actual background from the broadcast stream and replaceit with an image, video, or any other supported video source.